Iris Lea Craver Marsh, 78, of Chickamauga, passed away on Tuesday, October 09, 2018. She was born to the late Robert L. and Louise Harvey Carver in Florida, has lived in the Chickamauga area since 1973 and was a member of Oakwood Baptist Church. Iris was also preceded in death by her sister, Dorothy Craven Head and brother, George Cox. 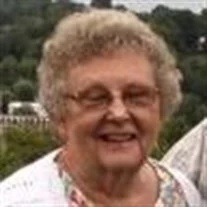 She is survived by her loving husband, of 56 years, Jack Marsh; children, Kenneth Marsh and Rodney (Michele) Marsh; siblings, Robbie Craver, Phillip Cox, Johnny Cox, Linda Lou Cox and Maggie Cox Goodman; grandson, Justin Marsh; and several nieces and nephews. The family will receive friends from 4-9 p.m. on Wednesday.